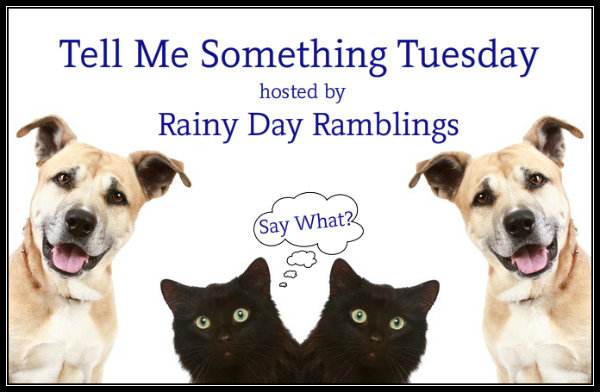 Tell Me Something Tuesday is a weekly discussion created and hosted by Rainy Day Ramblings. Actually this topic is from a couple of months ago, but I find it very interesting and worth going back to. You know by now that I mostly read Contemporary Romance novels, and it won’t come as a surprise that villains play an instrumental role in this kind of books. I dare say that, sometimes, they are even more frightening to me than those in paranormal novels. Quite strange, you’ll say, but the viciousness and malice of those characters, that do their damnedest to break up a love story, or even to never make it happen, is really scary. There are tons and tons of examples I could give, and I’m sure you’ve all encountered these villains in Romance novels. What makes them so frightening to me is that, most of the times, they use the weapons of disguise, seduction, cunning, lying, all things you don’t see, and the good characters can easily get tricked by them. Something that, more often than not, happens also in real life, and that’s another reason why they’re so scary to me — they sort of reflect a kind of people that can cross our paths without any warning…So whenever I see a villain in a Romance novel, my reaction is always the same: I want to strangle them (yes, they bring out my violent side, and I’m not a violent person…), shake the good characters and make them open their eyes and see the real nature of the villain, which often is revealed only towards the end of the book. And doesn’t this happen also in real life? I’m sure we’ve all been tricked and lied to at some point, which made us understand things weren’t as they seemed. So it’s easy for us to empathize with the lovers of the novel and understand how it really feels to deal with these villains. We can hope, while we read the book, that the lovers will learn something from having to face the villain’s evil schemes, and I have to say they always learn. I have yet to read a book where the villain gets the upper hand, and I hope I’ll never come across such a book, because I don’t think I could handle it. I firmly believe that Good always wins in the end, even if it might take long to defeat the evil. So a story where the villain wins? It’s quite pessimistic to me, and I sure won’t recommend it to anyone. Now I’d like to hear from you. What are the villains that scare you the most? This entry was posted in Books, Tell Me Something Tuesday, Villains/Villainesses and tagged Books, Contemporary Romance, Romance Novels, Tell Me Something Tuesday, Villains. The Ted Bundyish type frightens the pjabbers out of me. You know what I mean. The man who looks so wholesome and boy-next-door that you would never suspect the horrible, malicious, evil person he is inside. Evil woman who is a great actress. Such character scares me the most because usually she can fool everyone and cause so much damage for hero or heroine. It is the evil you do not see that is the most dangerous one, right?